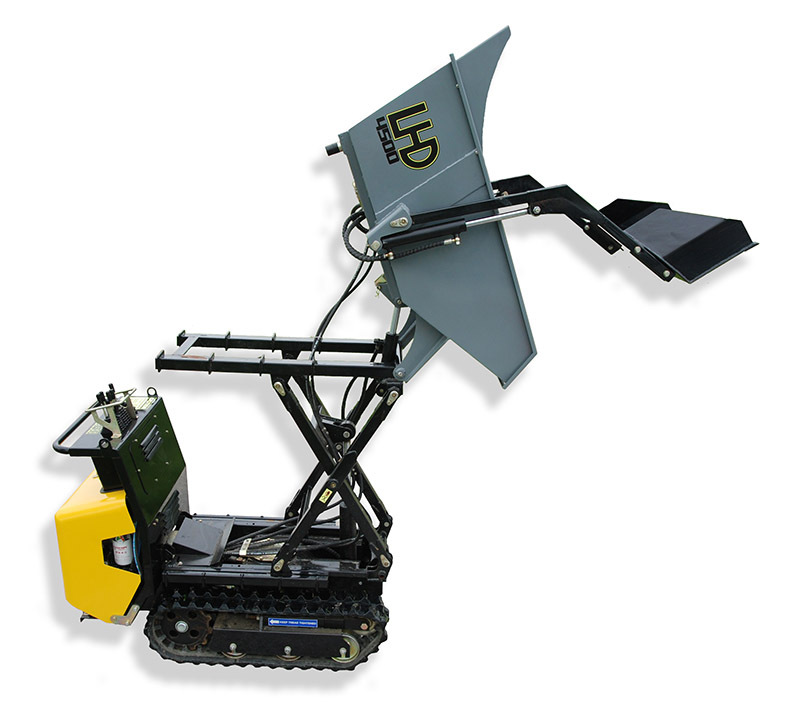 The LHD 4500 takes all the benefits of our 4000 base model and ups the ante with the inclusion of a scissor lift. Like the 4000, simple intuitive controls, a strong engine, a large capacity bucket and compact design allow this machine to get you in and out of most anywhere and get the job done exponentially faster. However, the included self-loading shovel fills the bucket itself saving workers time and effort and the scissor lift allows the load to be lifted and dumped into a truck bed or trailer. Now you can quickly and reliably accomplish jobs on your own that would normally take multiple people much longer. Transforming productivity… that is what we are all about!